Initially starting out as a Facebook Fan Page to honour the Montreal Expos, ExposNation has grown to over 169,000 fans. 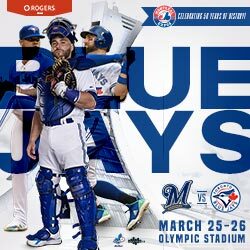 We are a non-profit organisation seeking to promote the Montreal market as a viable baseball market, by creating awareness that there is a viable, potential fan base in the region. ExposNation is officially recognized by the Baseball Hall of Fame and the Major League Players Alumni Association. Working closely with other entities, including the Warren Cromartie-led Montreal Baseball Project (a group that brought Tim Raines, Andrew Dawson and others to the city in 2011), Baseball Canada, and other organizations, we are working for the sole goal of helping to bring a Major League Baseball team back to Montreal. Our committee is comprised of figures such as former Expos player Derek Aucoin, TSN Radio 690 host/Communications Professional Matthew Ross, Hip-Hop Artist/Actor Annakin Slayd (creator of viral sensation Remember the Expos) and others. An online resource and interactive destination, exposnation.com is for Montreal Expos baseball fans, past. and present. 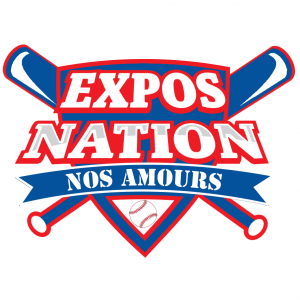 On September 16th, 2013, ExposNation officially became a non-profit corporation, registered under the name Nos Amours Baseball.